CHATTANOOGA, TENN.—Volkswagen America recently told Working In These Times that it was not funding efforts to stop the United Auto Worker (UAW) union drive at the VW plant in Chattanooga, and that it supported the right of employees to unionize. Now, evidence has emerged connecting VW to another anti-union group. However, Working In These Times has uncovered that Volkswagen America supports a second group engaged in anti-UAW activity in Chattanooga: the Chattanooga Regional Manufacturer Association (CRMA). The local industry group boasts VW as a member, and the CEO of Volkswagen America’s Chattanooga Operation, Frank Fischer, sits on its board of directors. CRMA engages in a variety of anti-union and anti-worker activities that would seem to run counter to Volkswagen’s stated position of supporting “the right of employees to representation at all its plants.” The organization promotes Chattanooga as attractive to manufacturers because workers receive "cost-competitive wages that are below national norms, including total average industrial earnings (83%), manufacturing wages (75%), and service sector salaries (81%).” In a membership brochure, CRMA advertises its “union avoidance/labor relations” seminars. As major manufacturers in the Tennessee Valley, it is important for Volkswagen Chattanooga to be involved in the civic conversation in our region and lead to the way with cutting edge education programs and innovative models of employee /management engagement. We are involved in the manufacturing community, but ours is not the only voice in the conversation. We allow for differences in professional opinions while working together to strengthen the manufacturing base in our region and bring more jobs to the community. Along with several other manufacturers, we sponsor the annual dinner of the CRMA and we are members. We have never been a part of any anti-union workshops. Local activists say these revelations are yet another reason why Volkswagen needs to more vocally demand that outside parties stay out of a union election in which Volkswagen has pledged its neutrality. “It’s no wonder that [CRMA] are doing everything they can to keep Volkswagen workers from organizing, since they have spent decades adamantly fighting the rights of our local workers to negotiate for better wages, working conditions, benefits and pensions,” wrote Patricia Bazemore, an organizer with labor-community coalition Chattanooga for Workers, in an email to Working In These Times. “The question we have is, why is Volkswagen once again supporting an organization that is obviously trying to undermine what should be the personal choice of their workers, not to mention the global social contract the company has with its workers?" 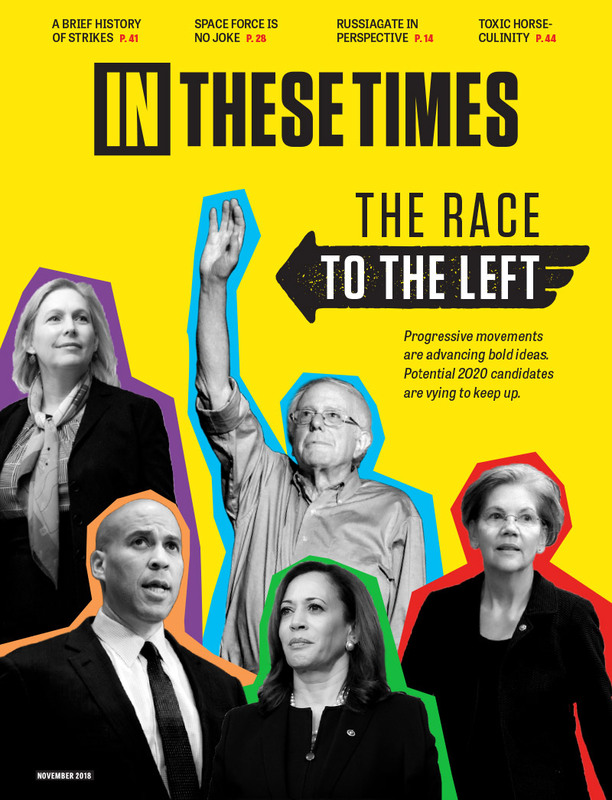 UAW is a website sponsor of In These Times. I will explain this. In Germany unions and managememt work together well and support each other. Germans in their overarching superiority always want to run their US companies exactly like they run them in Germany. It never works out for them but they never stop trying. Bull. You Tea Party cretins want Unions destroyed, illegally or otherwise. As far as "fair", David, the only "fair" is out in the country in the summertime. Corporations and their mouthpieces like you will do just about anything to illegally shut Unions out of workplaces. William, your CAPS LOCK seems to be stuck. Also, you write like a blind idiot. If outside organizations should stay away from VW and let the workers decide, then those outside organizations must also include the UAW. The UAW needs to get out now and allow the workers a secret ballot vote on unionization or not. Shutting out only one side is not fair at all.